A PESAR DE LO PEQUEÑA QUE ESLA CABEZAENEL CUERPO TIENE UN GRAN IMPORTANCIA, LAS FUNCIONES MAS DELICADAS, MAS IMPORTANTES ESTAN ENLA CABEZA. UN CUERPO PUEDE TENER UNA GRAN FORTALEZA, UNA GRAN MUSCULATURA O BELLEZA PERO UN CUERPO SIN CABEZA ES UN CUERPO QUE NO SIRVE PARA NADA. TODO EL CUERPO VA HACIA DONDE LA CABEZA LE DIRIJA, EL CUERPO NO IRA A UN LADO DONDE LA CABEZA NO LO DIRIJA, POR ESO ES TAN IMPORTANTE LA CABEZA EN EL CUERPO, PUES AHÍ RADICAN LOS ORGANOS DE LA RAZON Y DEL PENSAMIENTO. LASTIMOSAMENTE HAY FAMILIAS SIN CABEZA, FAMILIAS QUE AL IGUAL QUE EL TEXTO QUE LEIMOS EN JUECES CADA QUIEN HACE LO QUE MEJOR LE PAREZCA, CADA QUIEN HACE LO QUE LE DALA GANAYPOR ESO NO HAY PAZ, POR ESO NO HAY ARMONIA EN EL HOGAR, PUES NO HAY UNA CABEZA QUE DIRIJA EL DESTINO DE ESA FAMILIA. a) EL PUEBLO DE ISRAEL ACEPTABA A JOSUE COMOLA CABEZAQUELOS GUIARIA PERO SOLAMENTE EXIGIERON DE EL PARA ACEPTAR SU AUTORIDAD DOS COSAS : QUE DIOS ESTUVIERA CON EL Y QUE FUERA EJEMPLO DE ESFUERZO Y VALENTIA. b) UNA FAMILIA SIN CABEZA ES UNA FAMILIA SIN AUTORIDAD PUES NO TIENE EXACTACTAMENTE ESOS DOS REQUISITOS: LOS PADRES NO SE DEJAN GOBERNAR POR DIOS Y TAMPOCO DAN EJEMPLO. d) EL MEJOR COMPLEMENTO DELA AUTORIDADESEL EJEMPLO, YO NO PUEDO EXIGIR QUE MI FAMILIA HAGA LO CORRECTO SI YO NO LO HAGO, CUANDO LA CABEZA ANDA PERDIDA TAMBIEN EL CUERPO ANDARA PERDIDO, ASI CUANDO LA CABEZA ANDA HACIENDO LO QUE LE DA LA GANA, ASI MISMO SERA EL RESTO DE LA FAMILIA. ASI COMO ENLA CABEZAESTANLAS FUNCIONES DE HABLAR, OIR Y VER ASI TAMBIEN UNA FAMILIA SIN CABEZA ES UNA FAMILIA QUE NO VE, QUE NO OYE Y QUE NO HABLA. a) EL SACERDOTE ELI HABIA VISTO LO QUE SUS HIJOS ANDABAN HACIENDO PERO NO LOS HABIA REPRENDIDO POR ELLO, NO QUERIA VER, POR ESO DIOS LO REPRENDIO. b) SOMOS CRUELES SI VEMOS EL MAL PARA NUESTROS HIJOS Y NO LES AVISAMOS Y NO LOS REPRENDEMOS. c) NO DIGAMOS QUE NO NOS HABIAMOS DADO CUENTA DE LO QUE NUESTROS HIJOS ANDAN HACIENDO. e) NO DIGA QUE NO VIO CON QUIEN SALIO SU HIJA Y POR NUESTRA INDIFERENCIA ELLA PAGARA LAS CONSECUENCIAS. f) INVOLUCRESE ENLA VIDADESUS HIJOS PARA BIEN, NO MINTAMOS DICIENDO QUE NO NOTAMOS QUE ALGO ANDABA MAL. a) QUE DURO ES CERRAR NUESTROS OIDOS AL CLAMOR DEL POBRE, PERO MAS DURO AUN CERRAR EL OIDO PARA NO OIR EL CLAMOR DE NUESTRA FAMILIA. b) DICE UN PSICOLOGO QUE TODOS LAS PERSONAS ANDAN COLGADO UN ROTULO QUE DICE “QUIERO SENTIRME IMPORTANTE” YLA MEJORFORMADE HACER SENTIR IMPORTANTE ES ESCUCHAR LO QUE TIENEN QUE DECIR. 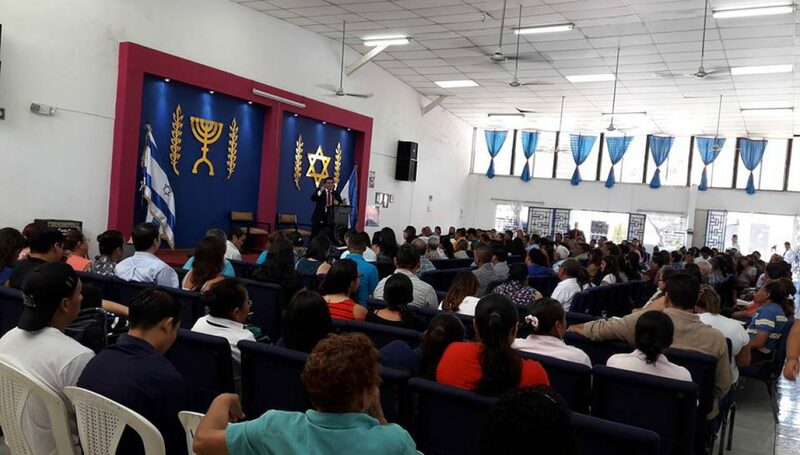 c) PERO PARA PODER ESCUCHAR CLARAMENTE LO QUE NUESTROS HIJOS TIENEN QUE DECIR TENEMOS QUE HACER ALGO MUY IMPORTANTE (ECLESIASTES 5:1) ACERCARNOS MAS PARA OIR, ESTRECHEMOS LAS DISTANCIAS CON NUESTROS HIJOS. d) PONGAMOS ATENCION A LAS PALABRAS Y LAS ACCIONES DE NUESTROS HIJOS , SI ESCUCHE LAS ACCIONES DE SUS HIJOS NO SOLO LAS PALABRAS. f) CALLEMONOS Y ESCUCHEMOS LO QUE TIENEN QUE DECIRNOS, TENGAMOSLA VALENTIADEESCUCHAR. b) NO SE CANSE DE ACONSEJAR A SUS HIJOS, NUNCA UN CONSEJO LES HARA DAÑO, NUNCA PIENSE QUE SUS PALABRAS SOBRAN. c) DICE A TIEMPO Y FUERA DE TIEMPO, NUNCA ES TARDE PARA ACONSEJAR A LOS HIJOS, NO DIGA COMO YA SE CASO NO PUEDO ACONSEJARLO MAS, HAGALO A TIEMPO Y FUERA DE TIEMPO, NO DIGA QUE PORQUE ES ADULTO YA NO NECESITA CONSEJO. d) CUENTALE A TUS PADRES TODO LO QUE TE PASA, CUENTALES TUS PROBLEMAS, TUS TEMORES, ELLOS TE SABRAN DAR UN BUEN CONSEJO. e) LAS DUDAS DE TU VIDA HABLALAS CON TU FAMILIA.